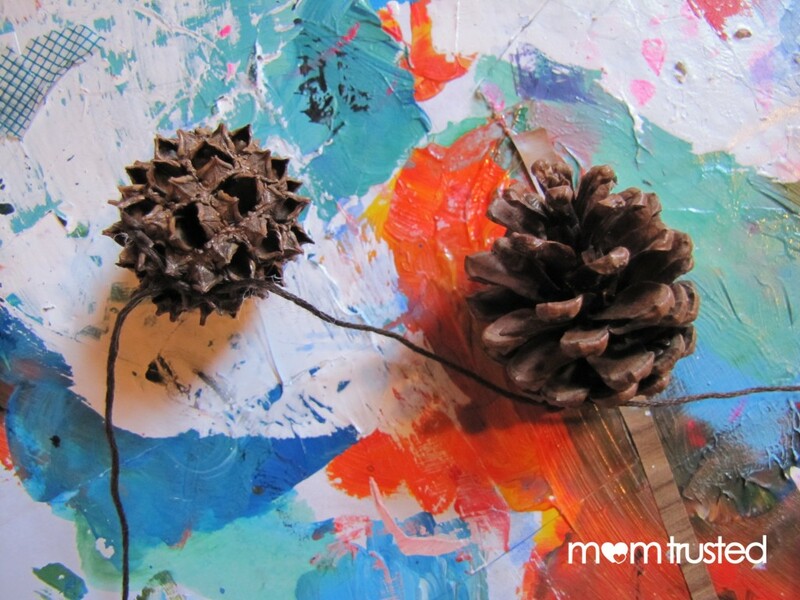 It seems like EVERYBODY on Pinterest is making pinecone garlands this year! We’ve seen rainbow ones and frosty ones! After eyeing up the treasure trove of perfect acorns that has amassed at our house, we decided to make one too! This project is pretty simple, and because glitter glue is easy to work with (or at least easier than glitter and glue separately! ), little ones can help with the construction and decoration! The best part of this project might be going for a walk and collecting the pinecones. 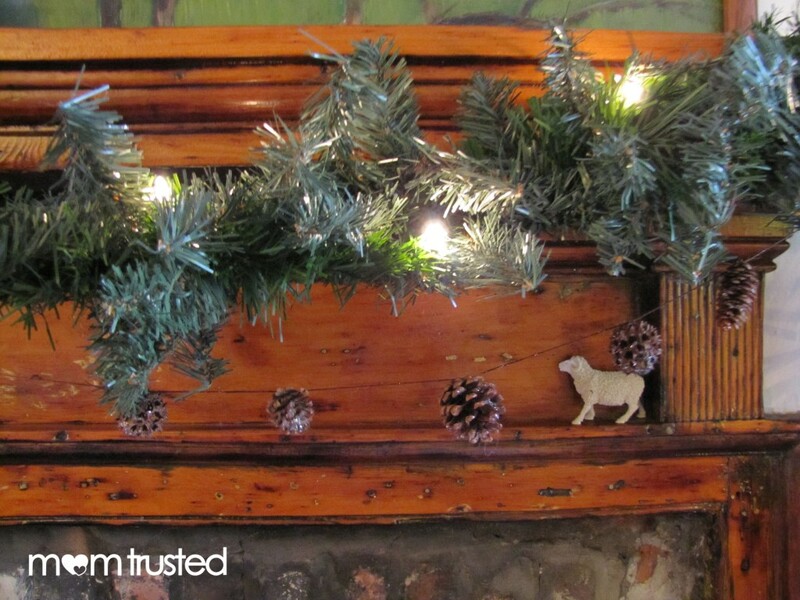 We used both pinecones and “monkeyballs” in our garland – just to mix it up a little. You can add any woodsy tidbits you come across in your travels! From start to finish, it’s a very hands on activity: collecting, embellishing, and deciding where the garland will go! 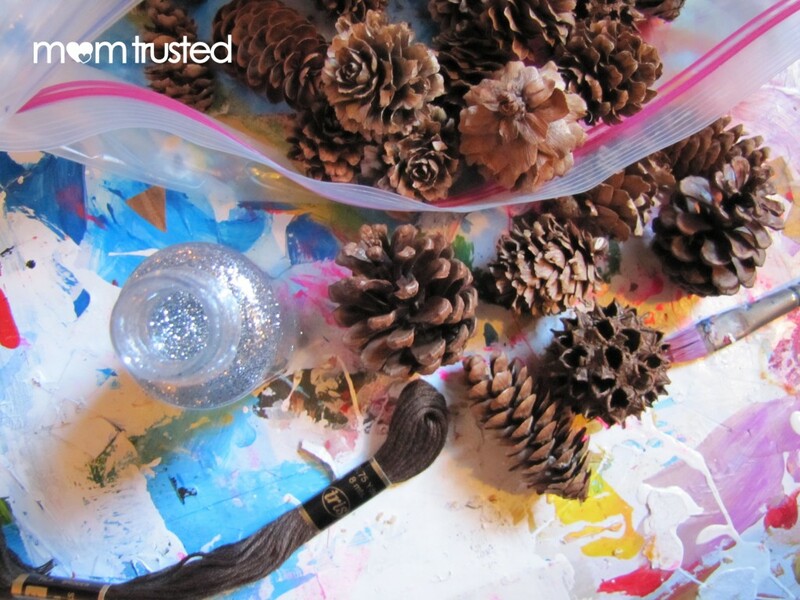 We strung our pinecones BEFORE applying glitter. In the end, I might advise against this, they kept getting tangled – too many hands in the mix! 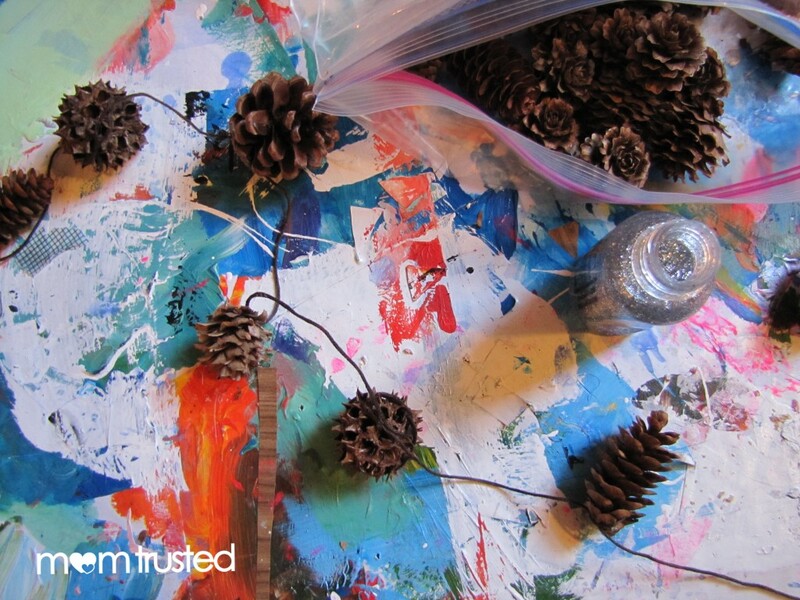 Use an old paintbrush to liberally apply glitter glue to your pinecones. The more the better! If you’ve only got glitter, and glue, definitely mix up a batch of glitter glue before you start! 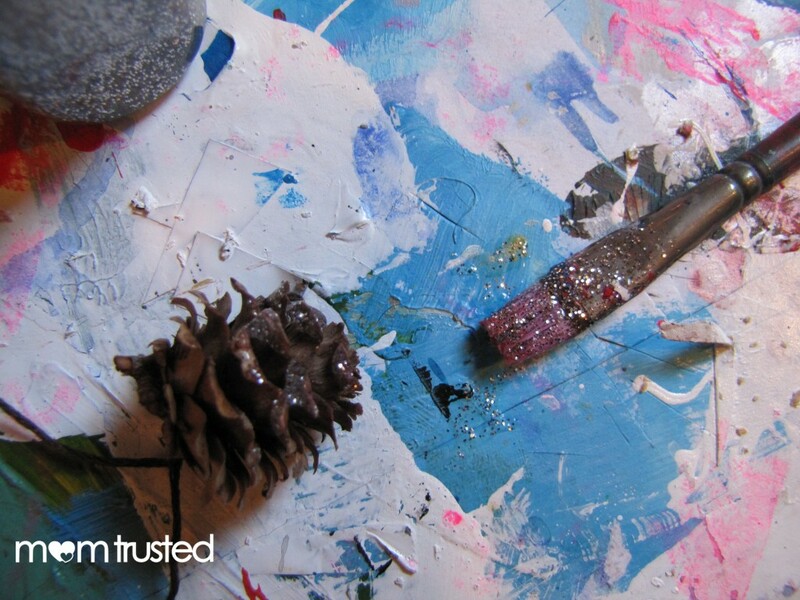 You can use a small disposable dish, or a babyfood jar to mix glitter into glue. It may seem like an extraneous step, but you’ll be glad you pre-mixed – no loose glitter floating around! When you’ve covered your pinecones to your heart’s content, and the glue is really dry, string up your garland. 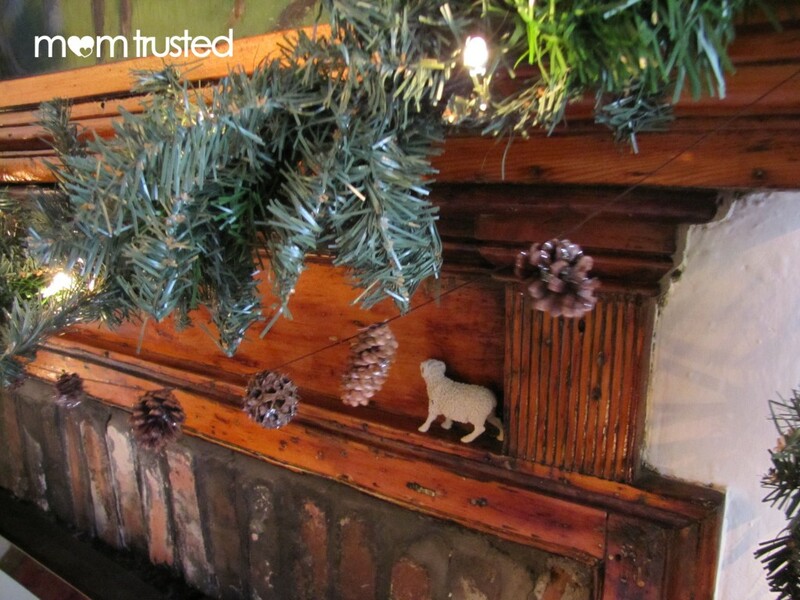 It will add a natural touch to either your tree or your mantle, and everyone likes admiring a decoration they made themselves!